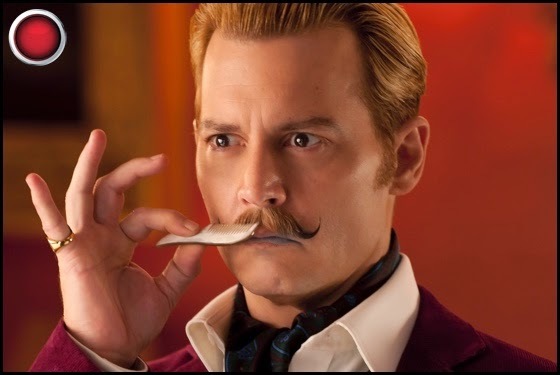 I guess I should have known before I even entered the theater that Mortdecai was not going to be very good. From the lackluster reviews, poor opening performance, plus the fact that the theater was completely empty, save for me. All of these things should have been warning signs. Still, I sat there with the hopes of being modestly entertained for a couple of hours. I mean, the cast has Depp, Paltrow, Bettany, McGregor, Munn, and others to hold my attention and hopefully pull me in to the tale. Sadly, the movie ends up being dull, unfunny, and lacks any manner of heart. I do not think it unreasonable to expect something more from the folks involved. The movie was directed by David Koepp, directing a screenplay that was not his own for the first time. Based on his track record, this might have been his biggest misstep. I have generally liked his work, such as Secret Window and Premium Rush, plus, when he just writes, we get movies like Jurassic Park and Spider-Man. No doubt his career has been a mixed bag, sadly this is not one of his better efforts. Screenwriting duties fell to Eric Aronson, whose only previous credit is 2001's On the Line (which starred Lance Bass and Joey Fatone), his screenplay adapts the novel “Don't Point that Thing at Me” by Kyril Bonfigliore. It is hard to know quite where to point the finger first when it comes to assigning blame. I think if I started doing that I would just end up shaking my hands in the movie's general direction and saying “There!” and allowing you to pick one. I have certainly seen worse movies, but this really had the potential to be fun. It wants to by thought of alongside the old Pink Panther films, but only makes it as far as the recent ones. After all, it does seem like Johnny Depp is attempting to channel Peter Sellers, with perhaps a dash of Hunter S. Thompson to even things out. 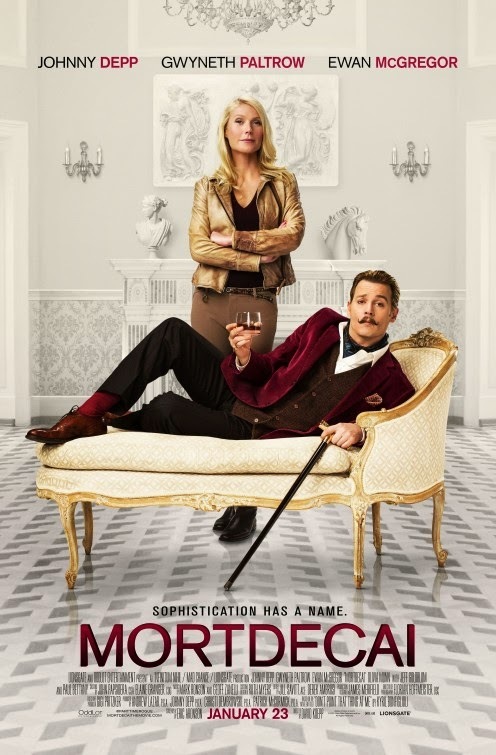 Mortdecai is a comic caper film whose cast of characters have been ripped out of the 60's and 70's and deposited in the middle of the 2010's with nothing so much as a road map. I think that might have been a blunder, a miscalculation on their part. The characters don't fit the modern setting and that hurts the overall feel. Perhaps thet should have kept it era-appropriate and set it in the early 70's? Sadly, the issues go beyond the time period. 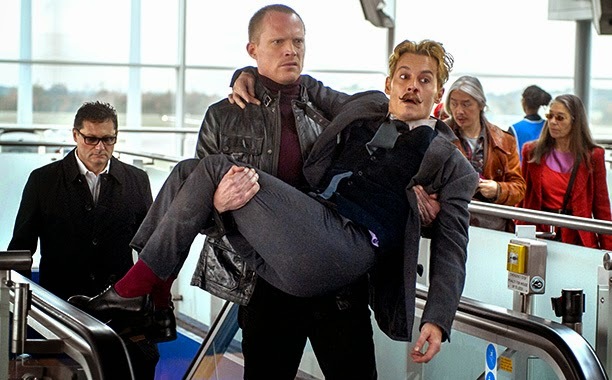 The movie concerns Charlie Mortdecai (Depp), his faltering marriage to Johanna (Gwyneth Paltrow), his relationship to his manservant, Jock (Paul Bettany), his maneuverings with MI5 Agent Martland (Ewan McGregor), not to mention his exorbitant debt, shady art dealings, and plan to retieve a stolen painting believed to have other secret information. This does not even get into the various thugs, promiscuous daughters, and globetrotting that goes on. The problem is that he movie has no heart. The chemistry is less than stellar and no one seems to really care. Everyone goes about their business and I never once feel involved. Sure, the trailer makes it all seem pretty funny, but when it gets to the film, it never comes together. 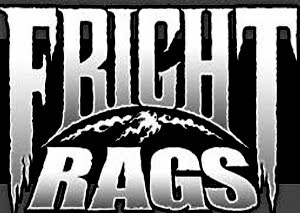 It moves along at a brisk pace, keeping the jokes firing, but more often than not they simply fall flat. While this is far from the worst movie I have ever seen, there is no denying that the film never really comes together. The cast often seems bored, and while it may work great as a caper on paper, it does not gel in feature form. Johnny Depp has become famous for his quirky characters and odd mannerisms, but he usually brings more substance to the screen. Here, he just feels like a collection of quirks and nothing more. 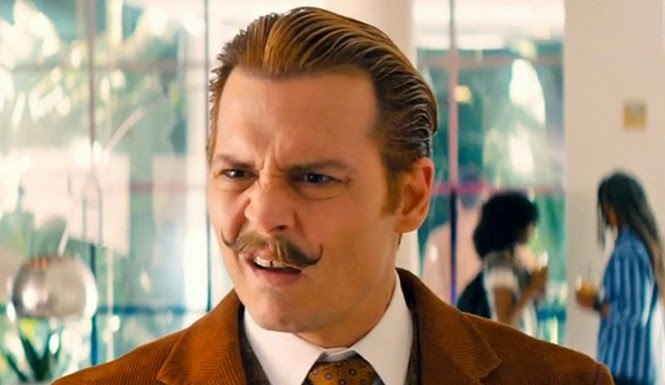 Mortdecai is a lackluster outing that had the potential to be a lot of fun. Everything is squandered by a poor script, below average performances, and a story that feels appropriate but with too many elements vying for time. I don't know. I wanted to like, but I just couldn't. Yes, it was nice seeing Depp in a role that doesn't require make up. Again, on paper, this should be good, instead it just sits there, limply staring off into space, perhaps dreaming what it could have been.